Equipped with safety devices that retain the grip on the load, even in case of air supply interruption.Special brakes keep the arm and gripping tool still when not used. The stand glass loading machine can be equipped with various types of lifting tools, mechanic or vacuum, standard or customized. Looking for ideal Electricity Manipulator Arm Manufacturer & supplier ? We have a wide selection at great prices to help you get creative. 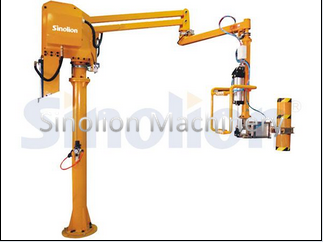 All the Electric Manipulator Arm are quality guaranteed. We are China Origin Factory of Intelligent Manipulator Arm. If you have any question, please feel free to contact us.